We’re All in This Cleanse Together! We’ve said it before, and we’ll say it again… accountability is key on a Cleanse Day*. The unique bonds and experiences shared with others helps to build upon the foundation of not just your health but the friends who helped you along the way too. We hope you joined us on #CleanseDayWednesday and invited your friends to take part in the commitment too. After all, friends don’t let friends do a Cleanse Day* alone! In case you missed any of the action from the beginning, check out our first IsaFYI on cleansing* here. As you will likely already know, Shake Days are fairly straightforward – simply replace two meals a day with any IsaLean Shake. Cleanse Days* are a form of intermittent fasting using Nourish for Life®. We want all of you on this journey with us, but remember that you should do no more than four Cleanse Days* within a 30-day period. If you’re not yet on the weekly #CleanseDayWednesday wagon, get ready to join us for this week’s action! In need of a pick-me-up while you cleanse*? Don’t forget, we offer an array of snack options that are all approved for Cleanse Days* including IsaDelight® chocolates and Isagenix Snacks™ to help keep you on track. 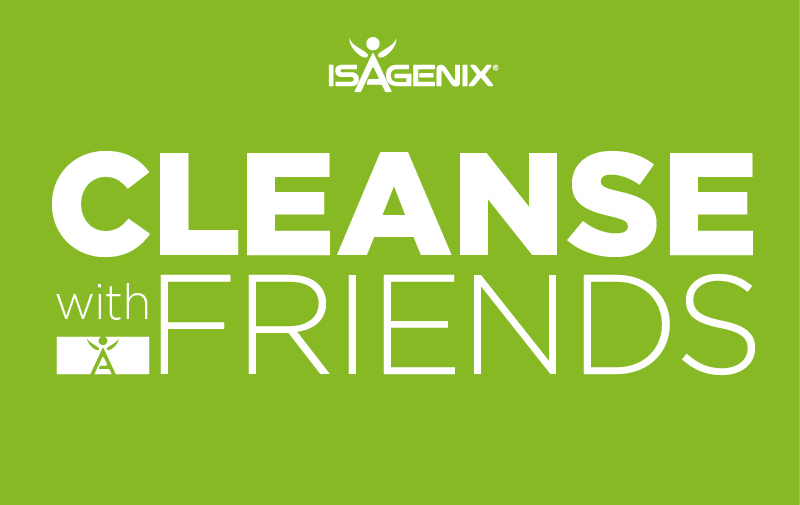 If you haven’t committed to cleansing* with friends yet, what are you waiting for? There is an entire community here to support you! We’re all in this together, as One Team! Join us on the next #CleanseDayWednesday and keep up with us on Facebook and Instagram each week. *A Cleanse Day is a nutritionally supported fast that nourishes and energises your body’s own detoxification systems. For further Cleanse Day information, visit Isagenix.com.